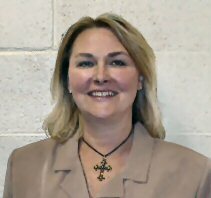 Jan Boston Sellers has been an employee of the Cumberland County Drug Alliance TAD Center since 1989. As the executive director, she oversees all TAD Center activities. As Chemical Awareness Coordinator, Mrs. Sellers teaches drug education in each of the county's elementary schools and in the Wellness Classes at Cumberland County High School and Stone Memorial High School. She counsels students and makes referrals to drug and alcohol rehabilitation centers. She is licensed through the state to provide Early Intervention programs for violators of the Drug Free Youth Act. Mrs. Sellers completed her master's degree at Liberty University in counseling Sept. 2004 and now holds a PhD from California Southern University. She earned her Bachelor's Degree in Psychology from Liberty University, after receiving an Associate's Degree in Secondary Education from Roane State Community College. Mr. Wyatt has earned a Bachelor's in Education from Tennessee Technological University, following an associate's degree in general studies from Roane State. He earned his masters in professional counseling from Liberty University.